Check out the black powder coated racks. Photo courtesy of Dave (aka Cold Iron on Flickr) of Cycle City in Alameda, CA. 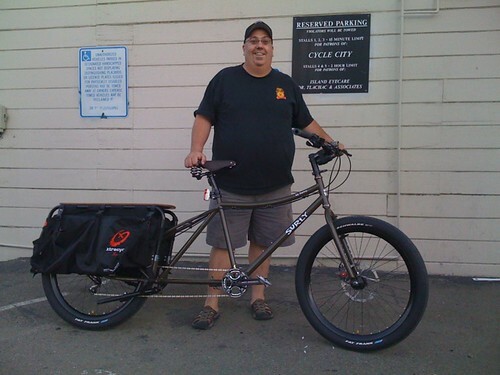 Dave has equipped many a Big Dummy and Xtracycle (see #283). Please stop by if you are in the area, he likes to take pictures of folks on their bikes. A noble calling indeed.